I know that not everyone is into talking about web browsers to the same extent as I am. But it is an important topic. Web browsers directly impact our user experience on the web, and often we’ll blame a web site for problems without realizing the issues may actually be caused by our browser. So I thought I would share what I’ve learned over the years when helping others with web browser issues. Some features of the website do not function. For example, if you are using a visual editor in a WordPress powered blog like Edublogs, the content area of the visual editor is blank (white) or the Add Media button won’t launch. Many words are underlined with links to ads when viewing websites. The fastest way to confirm a browser issue is to switch to an alternative browser. Mozilla FireFox and Google Chrome are recommended for optimal performance. If the alternative browser fixes the problem, then you know the problem is a browser issue. Browser issues may also be solved by disabling add-ons/extensions, changing your internet browser settings, clearing your browser cache and cookies, or refreshing the page. Some issues you encounter may be caused by the browser itself. For optimal performance and security, it’s best keep your browser up to date by running the latest version. 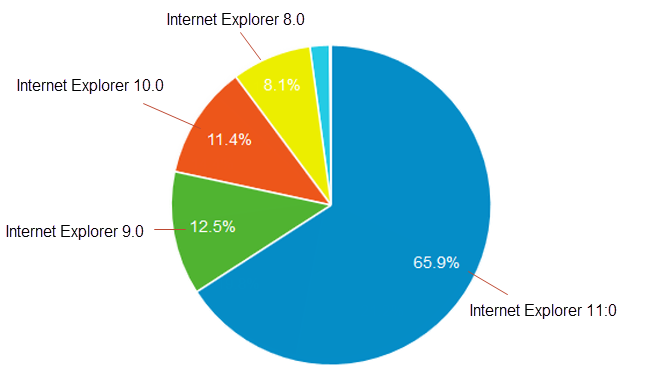 Older browsers generally aren’t a problem on home computers, as most users automatically update their browsers. Unfortunately educational institutions and government organisations often run older versions of Internet Explorer or Safari and this can be related to some software used that only runs in older versions of these web browser. The good news is that most institutions now also run Google Chrome and Morilla FireFox on their devices, and these are more likely to be running the latest versions. The most common browser issues we handle for Internet Explorer are caused by running old versions of Internet Explorer. Most websites follow Google’s supported browser guidelines. Google only supports Internet Explorer 10 and above. If you are using Internet Explorer 9 or less, you will find that some features do not function, or applications won’t launch for some websites. If changing web browsers isn’t an option, and you are using an older version of Internet Explorer, try turning off compatibility view. Compatibility view can affect functionality in some websites and disabling may fix the issue. I get really grumpy when reading articles on “Must Have” or best extensions to install in your web browser. Extensions can cause so many different issues and are the most common causes of browser issues we deal with for those using Chrome, Safari and Firefox. Most people don’t realize the extension they installed has caused the problem and don’t know how to troubleshoot or fix the problem. The best advice is only install add-ons and extensions you absolutely need to use. The fastest way to confirm if an extension has caused the issue is to open the site in an incognito or private window. These windows will not load any cookies, extensions or add-ons you have added to your browser, unless you’ve given permission for it to do so. If incognito or private window fixes the problem then you know the most likely cause is a compatibility issue with an extensions or add-ons. Force refresh is a handy trick to know when dealing with images on websites. Browsers store images on websites so the next time you visit the same website it pulls the images from your browser. This speeds up the loading of websites but can cause issues viewing the latest version of an image in some circumstances. A force refresh clears the stored images from the browser and loads the latest version of the images. If you are experiencing problems, clearing the browser cache is a good first step to try to resolve the issue. If your cache is not updating properly or if it’s stuck, you could be viewing an older version of some of the supporting files that run the site. Make sure the site is not blocked by your browser. This also applies to your firewall or anti-virus software settings if you have any. Did I miss any important points? What is your favorite browser and why? Very nice article! Personally, I use browser such as Polarity Browser or Midori. These two browsers are much lighter than the more mainstream browsers since they keep CPU temperatures and RAM usage low. They both get the job wonderfully and I highly recommend them. What a terrific idea for an article! 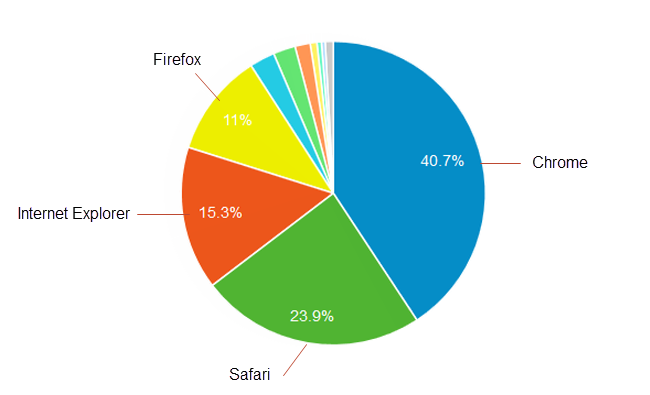 I agree that our browsers are important, because the browser is probably the most used part of our computer experiences. I read a lot of articles, but have not read one on this topic. Your article is extremely helpful! My favorites are Safari and Chrome. Okay, I lead trainings in Apple and Google 🙂 But I also have Firefox in my dock and use it to test websites that give me problems on the other two. This is a very nice summary, Sue. I will confess to using a number of extensions but, in my mind, I have a use for them! I just read on the weekend of a browser extension for Chrome the deactivates the extension until you explicitly call for it. Of course, it’s another extension to be added…. But, I think that may well be the future of extensions. As for my favourite browser, I tend to go with Firefox and use Opera Next as my backup. Looking down my Launcher, I also keep a copy of Chrome and Chromium handy just for a rainy day. thanks for sharing that Sue. Some very useful troubleshooting advice there. Help desks everywhere will be thanking you :).